A federal judge ordered lawyers for Boston Marathon bombing suspect Dzhokhar Tsarnaev on Wednesday to turn over their witness list by the end of December, resolving one of the last remaining legal disputes before the high-profile trial begins in January. Lawyers for Tsarnaev had wanted to withhold the list until the end of January, about the time when testimony in the case could begin, contending that it would be tougher to persuade witnesses to cooperate if government prosecutors know who they are. But US District Court Judge George A. O’Toole Jr. agreed with prosecutors that they should know who the witnesses will be before jury selection begins on Jan. 5. “I don’t have any doubt of the court’s authority to require disclosure,” O’Toole said, ordering the defense to make their list available by Dec. 29. 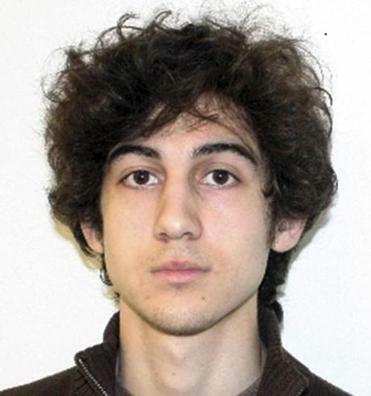 Tsarnaev has pleaded not guilty to 30 federal charges in connection with the April 2013 bombings, and faces the possibility of the death penalty if convicted. Three people were killed and more than 260 injured when the two bombs exploded near the Marathon finish line. Tsarnaev’s older brother and alleged accomplice, Tamerlan, was killed days later during a confrontation with police in Watertown. In addition to setting a schedule for the trial and ordering Tsarnaev to appear at the next proceeding, O’Toole said he will review the defense team’s request that prosecutors turn over more documents related to the case, specifically documents about Tamerlan Tsarnaev’s alleged participation in a triple homicide in Waltham in 2011. One of Tamerlan Tsarnaev’s friends, Ibragim Todashev, allegedly confessed to the FBI during an interrogation in May 2013 that he and Tamerlan Tsarnaev took part in the Waltham killings. Todashev was shot and killed by an FBI agent during the interrogation after he allegedly attacked the agent. Defense lawyers have sought more information about Tamerlan Tsarnaev’s potential role in the Waltham killings as they seek to portray him as the dominating older brother who coerced Dzhokhar Tsarnaev into taking part in the bombings. But federal prosecutors say the Waltham killings have no connection to the bombing investigation. The defense noted that a lawyer for a potential witness has already told government prosecutors that the witness would testify that Dzhokhar Tsarnaev knew his older brother took part in the killings, though prosecutors say they do not know the source of the witness’s information. Attorney William Fick said there is no reason to deny the defense team the information. The back and forth between defense lawyers and prosecutors occurred during an hourlong status conference Wednesday as O’Toole looks to set a schedule for court filings and hearings leading up to the Jan. 5 trial start. The judge said he will summon 1,200 potential jurors who will fill out questionnaires over three days, part of the screening process. The judge will hold a final status conference on Dec. 18, though he said he may hold a separate hearing to discuss any last-minute legal issues. Tsarnaev, who has not been seen in public since his arraignment in July 2013, is expected to appear at the Dec. 18 proceeding. O’Toole also told lawyers that testimony during the trial will last from 9 a.m. to 4 p.m., rather than the typical 9 a.m. to 1 p.m. schedule. Federal prosecutors said they expect the trial — and sentencing, if needed — to last three months, though that could be shortened by O’Toole’s decision to have a full-day schedule.